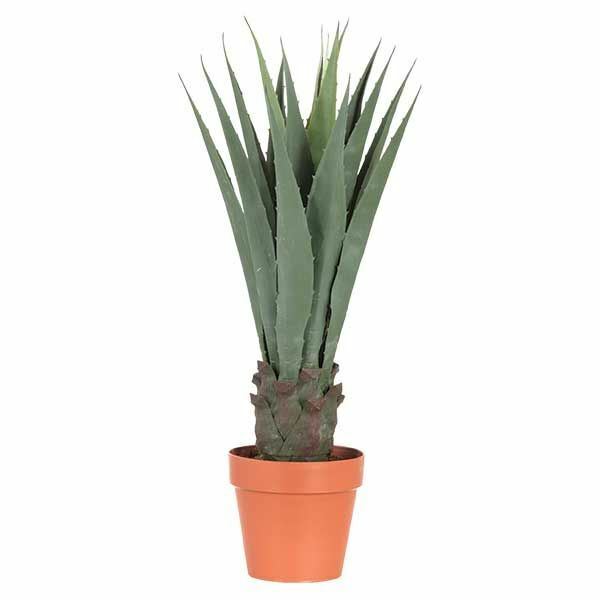 Faux Agave plant from Cambridge home. Constructed of plastic, wire and fabric. Great low maintenance way to decorate your home with the look of a live plant.